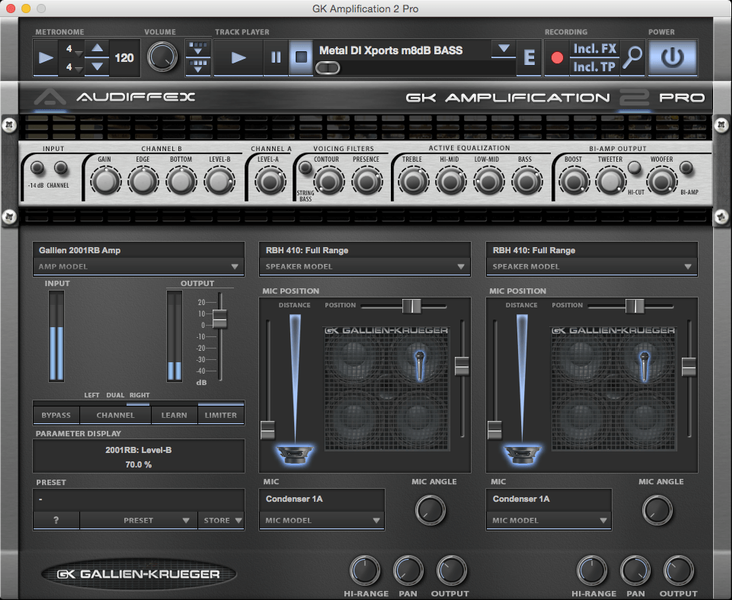 GK Amps advanced track player lets you play along with your favorite artists and learn their songs. Speed control allows you to slow down, if you can`t make it, or even speed up. Built in recorder will keep every new riff safe. 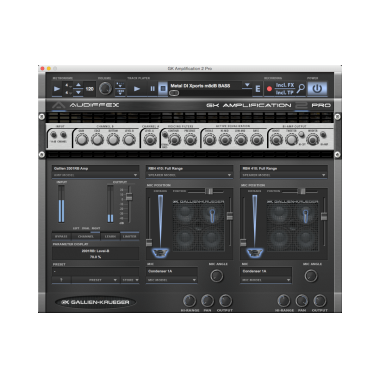 Record dry bass sound, processed or even mix with the track player. Select one of several amplifiers followed by a speaker selected from several models. The Pro version furthermore allows to combine two speakers. Version 2 brings a possibility to select microphone types for each speaker.